After a nuclear disaster, wildlife tends to flourish in contaminated areas, unchecked by humans that might otherwise hunt them. 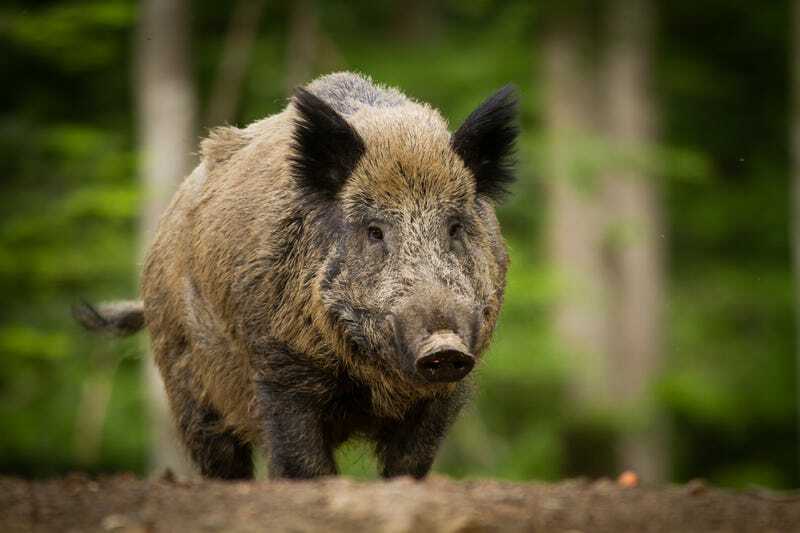 In the forests around Fukushima, the population of radioactive wild boars is exploding. According to The Independent, the boars have been eating contaminated food, which renders them unsafe for human consumption, all the while they’ve been breeding out of control. According to the Sunday Times, the population has gone from 3,000 to 13,000 since 2014 - three years after the Fukushima Daiichi nuclear plant melted down. That population boom has become a major problem for local agriculture, causing $900,000 in damages to farms beyond the quarantine zone. Hunters are able to hunt the animals, but disposal of the carcasses is presenting logistical headaches. Mass graves have quickly filled, and officials have turned to incinerating the animals in special facilities designed to prevent radioactive material from spreading. Unfortunately, those facilities can only handle three boars a day, and have quickly become overrun.